BetOWI.com is one of the newer sportsbooks in the market today. With so many sportsbook software providers, its hard to say which ones are reliable and which ones we should avoid. But with our sportsbook reviews, we can help guide our readers as we review the registration process, as well as give readers our input on the user experience of the various sportsbooks online. In the case of BetOWI.com, they are a young sportsbook, so the look of the site is modern and nice. But do they offer the same features and have the same functionality as the other, and more established sportsbooks? We’ll see. BetOWi.com was established in 2011, and bases its operations in Costa Rica. They boast to have one of the best betting lines, with decades worth of experience of handicapping. Also, they are a sister company of SportsbettingOnline, but there is no mention of this in their website. They also offer a neat mobile experience, and provide industry-standard security guarantees. So far, looking at the interface of the site, it is pretty easy to use. The features are standard. But we did find the wagering options to be somewhat limiting, despite carrying the most popular sports in the US. 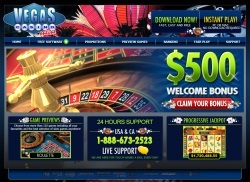 As for side action, the live casino and other add-ons are a bit outdated, which is weird since they are a relatively new company. A quick search will also tell you of some problems with payouts. When we tried to check the customer service of the site, we found out that they do not offer 24/7 customer service. They have the hours posted on their site. But if you want to reach a truly global market, this does makes it hard for you to get some help when needed. There is no weekend support for affiliates and payouts as well. Registration for the site was pretty easy, but we had to put in a lot of details compared to other sportsbooks. Using it was easy as well, although there were times when we kept on getting some errors when clicking, so we hope that gets fixed soon. Other than that, we were okay with using the sportsbook. The site is steady, easy to use, lots of payout options, and lines were industry standard as well. The site is good, and there is nothing wrong with using them. We would, however, suggest that there are a lot more sites that have great visuals, easy to use, and are more versatile. Other sportsbooks offer sports from around the world, have multi-lingual customer support, and are available 24/7. Its the little things, really, but a live dealer casino and support during the weekends can mean a lot to players. Which is why, while we think BetOWI is good, there are other options that offer more.